A copy of A Pattern Language, folded acrylic, folded mirror acrylic, a stack of Irish interior design magazines which were published in the same month as the show. trajectory/a pattern language was installed in artist David Beattie's house as part of the group exhibition Homemade, which was in turn part of the House Projects series of shows. 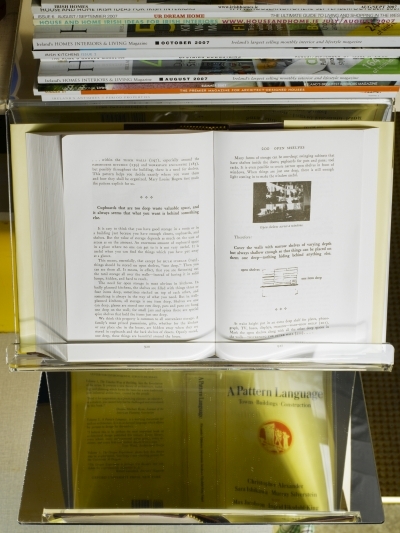 Two pieces of folded acrylic were held in place on a shelf by a stack of Irish interior design magazines, all of which were published in the same month as the show. 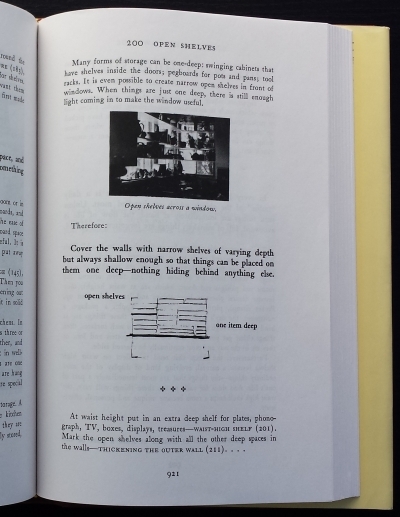 The upper clear piece supported a copy of the book A Pattern Language, open at a page which discusses shelving. 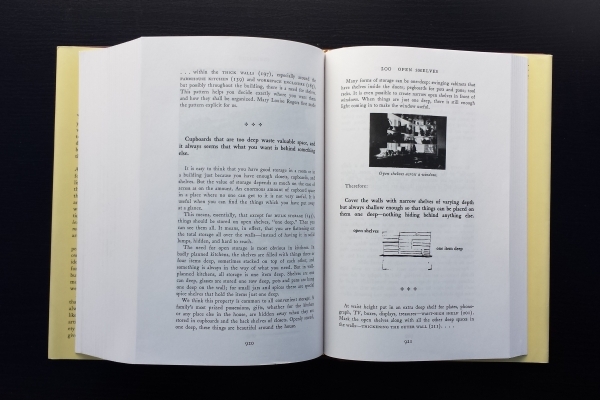 The lower reflective piece allowed the viewer to see the cover of the book and themselves as they read it. trajectory/a pattern language was made at the height of The Celtic Tiger, Ireland's economic boom. David and Ann's apartment was part of an older Georgian building which had been divided up to house multiple tenants, the standard approach to creating flats/apartments in Dublin in the pre-boom period. 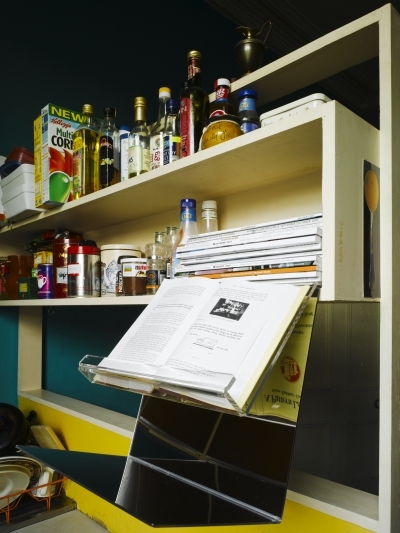 The kitchen/living-room shelving had been constructed from scratch using timber, which had then been hand painted, standing in stark contrast to the slick hotel-like spaces being promoted in the magazines, but strangely coincident with the approach described in Christopher Alexander's text. 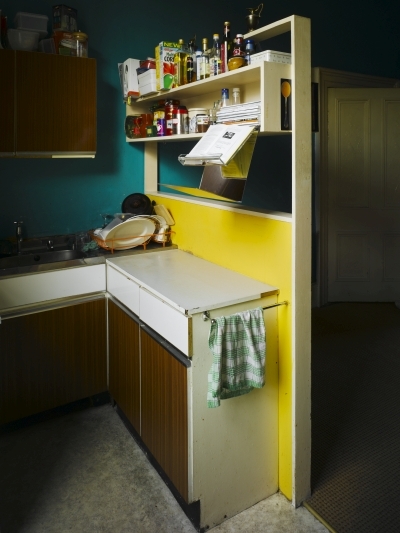 Homemade was curated by David Beattie. Installation shots courtesy Ros Kavanagh Photographer.